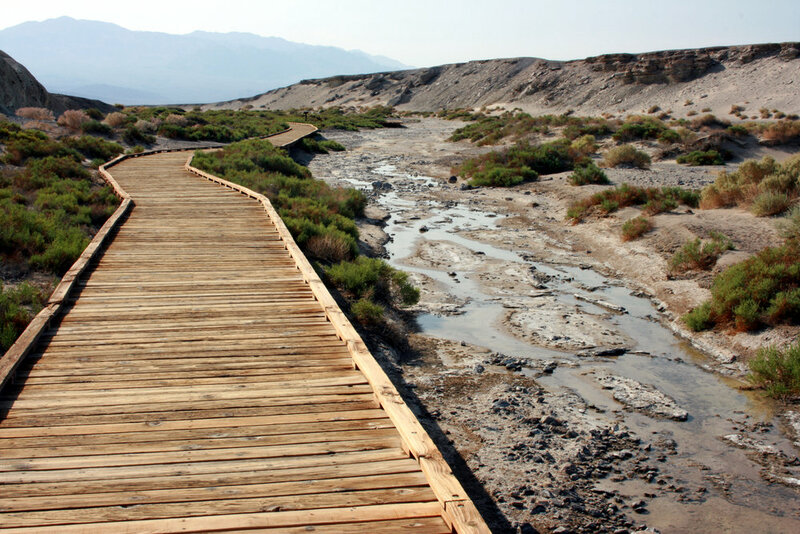 Pupfishes in the Death Valley region comprise a monophyletic group of populations that were isolated in remote streams and springs as the climate became increasingly arid over the last 20,000 years. These aquatic habitats are ecologically diverse, and allopatric populations differ in behavior and morphology. 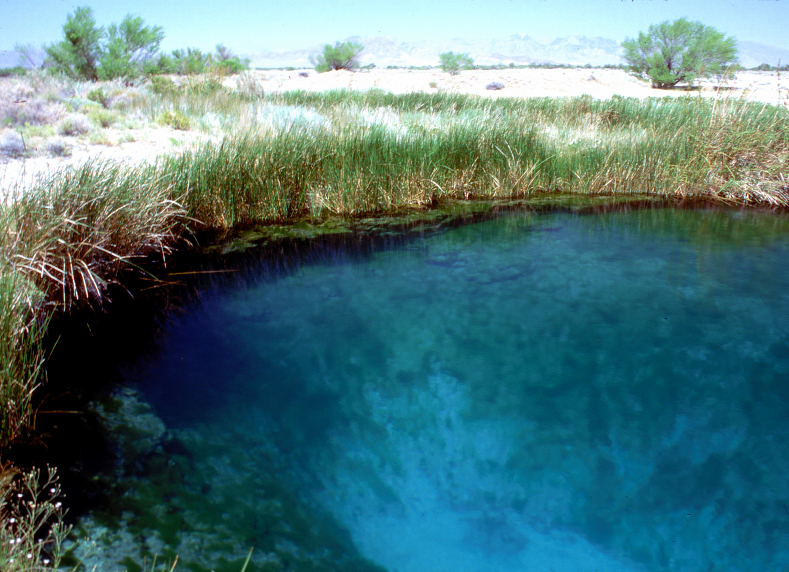 We are examining the role that changes in the vasotocin neuropeptide system have played in the divergence of social behaviors (i.e., aggression, courtship) among pupfish populations. More specifically, this research has explored a neural basis for the evolution of social behaviors in this system. 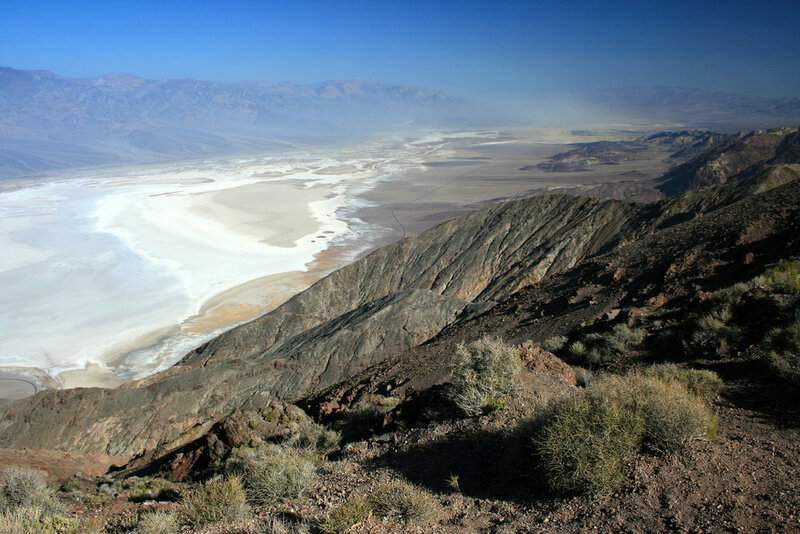 This work has shown that pupfish populations in Death Valley have evolved differences in how the vasotocin system responds to environmental factors such as temperature and salinity, and has provided evidence that plasticity in the brain can evolve quickly to differing environments in the wild. Recognizing that selection in the wild acts on neural and endocrine phenotypes just as it does on other phenotypic attributes leads to a new focus in evolutionary research – how neural and endocrine phenotypes evolve in the wild. Can similar ecological conditions generate neural ecotypes? The repeated evolution of phenotypic traits is associated with ecology in a variety of species, but whether similar environmental conditions select for analogous neural and endocrine phenotypes has not been explored. Or, does selection on one hormone-mediated trait affect the coordinated expression of other traits mediated by that same hormone? It is not known whether evolutionary change in one vasotocin-mediated trait such as aggressiveness results in a correlated shift in other processes mediated by this hormone. Recently, our laboratory identified the presence of three distinct vasotocin receptors (two V1a-type and a V2-type receptor) in pupfish – the first time multiple vasotocin receptors have been found in an Actinopterygian fish, and we are now beginning to examine how these three receptors may differentially regulate the diverse functions of vasotocin. Testing these ideas in wild populations will inform how hormonally-mediated behaviors evolve as well as clarify the role that plasticity in hormonal and neural pathways plays in the evolution of behavior. Marine Protected Areas (MPAs) became a key strategy in marine conservation as evidence accumulated during the 1990’s indicating that ‘no take’ marine reserves could benefit both species conservation and improve local fisheries. With the establishment of MPAs in many regions worldwide, there is now a need to monitor the effects of these MPAs on the population processes (e.g., growth, reproduction, recruitment) of commercially and recreationally important fishes. We are studying the hormone insulin-like growth factor 1 (IFG1) as a physiological biomarker of somatic growth rate in Pacific rockfishes. Hormones such as IGF-I are chemical signaling molecules that are released into blood circulation by a tissue or organ in response to an environmental cue or condition. Plasma concentrations of IGF-I, however, have been shown in laboratory studies to positively associate with specific growth rates in several fish species. Using a variety of controlled experimental studies and field sampling along the nearshore environment of the central California coast, we are evaluating the utility of IGF1 as a physiological biomarker for individual variation in nutritional status and growth rate in Pacific rockfishes. Much of our research is aimed at examining the influence of chemical pollution exposure and environmental conditions on the endocrine physiology, development, and behavior of teleost fishes. Several synthetic chemicals have been identified as endocrine disrupting compounds (EDCs) that have hormonally-active properties and impact the endogenous endocrine signaling systems of animals. Much of this work has focused on the influence of polybrominated diphenyl ether (PBDE) flame retardants on the hypothalamic-pituitary-thyroid (HPT) axis of teleost fishes, but has also examined the influence of PBDE exposure on early development of fish. This work has specifically focused on the differential impacts of PBDE exposure for thyroid hormone-mediated effects in peripheral target tissues (e.g., liver, brain, gonads), and how those effect may vary due to tissue difference in thyroid hormone function. More recently, we expanded these studies on EDCs to include investigations of the impacts of 4-nonylphenol contamination on marine fishes along the Pacific coast of North America. Specifically, it was recently found that select estuaries along the Pacific coast exhibit high levels of 4-nonylephnol contamination in fauna. 4-nonylphenol is well established as an xenoestrogen that can alter estrogenic steroid signaling in a variety of species. Recently, the Lema Lab has begun examining the extent and impacts of 4-nonylphenol pollution in California's estuaries by looking to an estuarine fish, the arrow goby (Clevelandia ios), as an indictor for the health of fishes in these ecosystems more broadly. 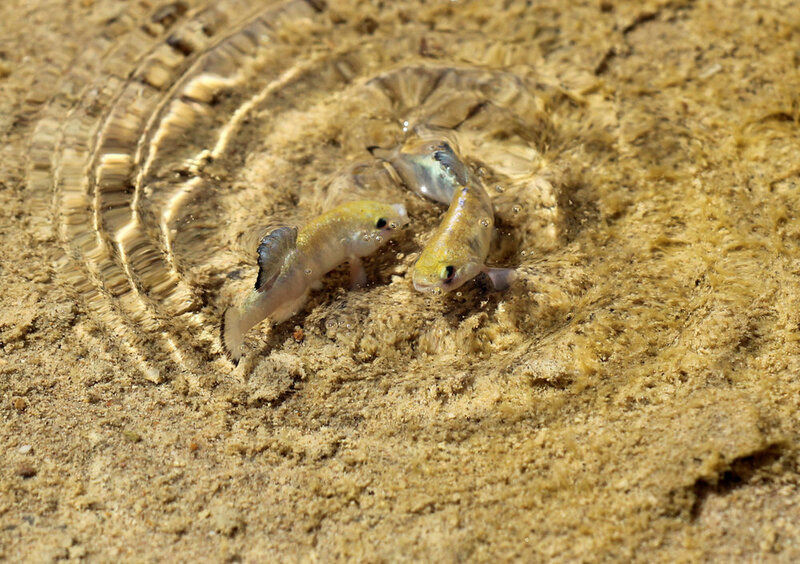 Using established molecular and physiological biomarkers of estrogen exposure (e.g., vitellogenins, choriogenins, estrogen receptors), we are assessing whether 4-nonylphenol contamination in these marine ecosystems is disrupting the endocrine physiology, behavior and reproductive health of these goby fish in the wild. Current teleost fish models for this work also include the sheepshead minnow (Cyprinodon variegatus), an estuarine fish that inhabits salt marshes along North America's eastern coastline. Specifically, we are examining how the effects of chemical pollution exposure may be impacted by a changing global climate.